The General Assembly has proclaimed 20 March the International Day of Happiness (resolution 66/281) recognizing the relevance of happiness and well-being as universal goals and aspirations in the lives of human beings around the world, and the importance of their recognition in public policy objectives. The research on well-being - sometimes called happiness studies - can be found in a wide-range of fields including economics, business, psychology, sociology, political science, and education. Data on the state of the world's happiness. 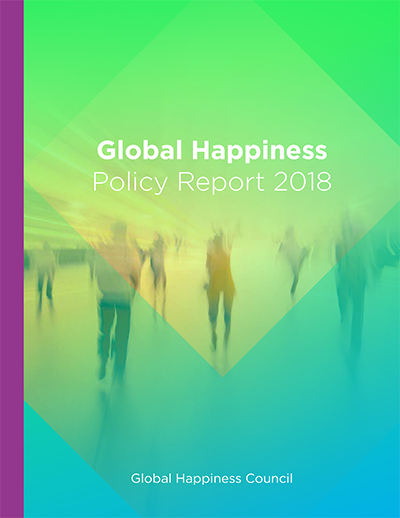 The World Happiness Report 2018, ranks 156 countries by their happiness levels, and 117 countries by the happiness of their immigrants. Influential report that questions measuring success by wealth alone. Frequently cited report from 1987 about sustainable development and quality of life by the World Commission on Environment and Development (also called Brundtland Commission). See annex. 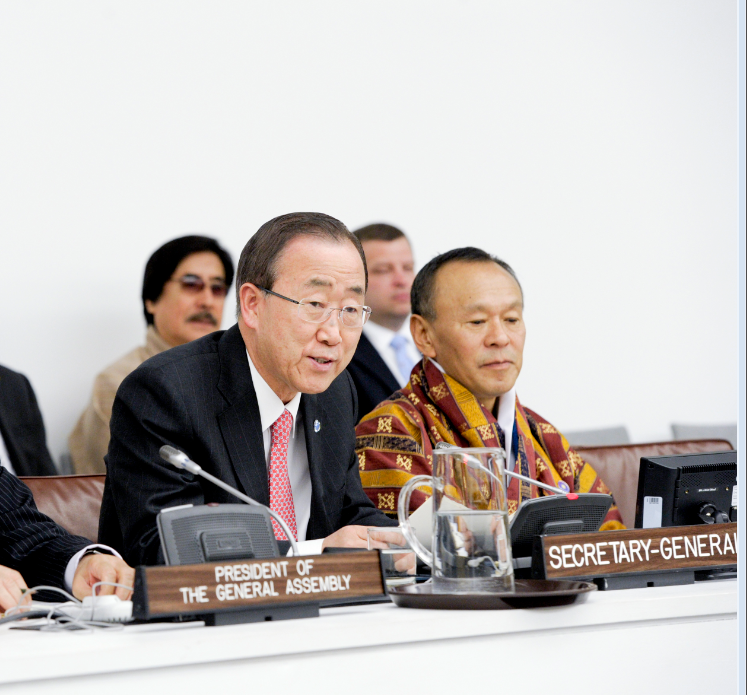 Bhutan has championed the measuring of Gross National Happiness for decades. See their index, tools, policies, and the 9 domains of happiness. Compares the 34 member countries of the OECD (as well as Brazil and the Russian Federation) across the 11 topics of well-being the OECD has identified as essential, in the areas of material living conditions and quality of life. How’s Life? is a statistical report that is part of the OECD Better Life Initiative. It charts the promises and pitfalls for people's well-being in 35 OECD countries and 6 partner countries. It presents the latest evidence from 50 indicators, covering both current well-being outcomes and resources for future well-being. These guidelines provide advice on the collection and use of measures of subjective well-being. They are part of the OECD Better Life Initiative, a pioneering project launched in 2011, with the objective to measure society’s progress across eleven domains of well-being, ranging from jobs, health and housing, through to civic engagement and the environment. This index from the UK based think-tank the The New Economics Foundation measures 3 components of sustainable well-being - life expectancy, experienced well-being and ecological footprint. UNICEF’s flagship publication closely examines a key issue affecting children each year. The report includes supporting data and statistics. Each edition of this flagship publication highlights an important population issue: adolescent pregnancy, family planning, urban growth, etc. Shows another view of wealth and well-being by attaching a monetary value on things like education and health. Produced by the Global Happiness Council (GHC) and contains papers by expert working groups on happiness for good governance. This report provides evidence and policy recommendations on best practices to promote happiness and well-being. An analysis of the relationship between income and subjective well-being in developing countries. This book is devoted to applying the data, methods, and theories of contemporary social science to the question of how political outcomes in democratic societies determine the quality of life that citizens experience. Explores the determinants of happiness and presents both the promise and the potential pitfalls of injecting the 'economics of happiness' into public policy-making. Compilation of work from scholars around the world using subjective well-being data to understand and compare well-being across countries and cultures. Points to data from the Gallup World Poll & World Values Survey. An overview of the field of happiness studies. Discusses social indicators such as unemployment rates, crime rates, life expectancy, health status indices, school enrollment rates, average achievement scores, election voting rates, and measures of subjective well-being. Charts long-term changes in the dimensions of global well-being and inequality from 1820 - 2010, including per capita GDP, real wages, educational attainment, life expectancy, height, personal security, political institutions, environmental quality, income inequality, & gender inequality. This OECD text looks at progress made over the past 10 years in collecting well-being data, and in using them to inform policies. 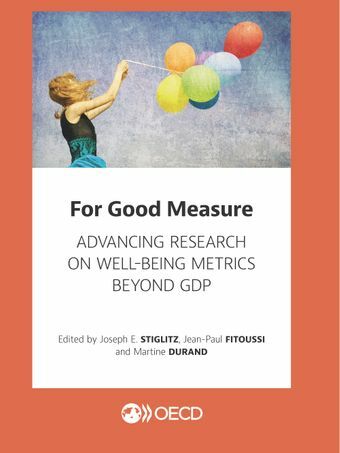 The contributors to this book look at key issues, such as how to better include the environment and sustainability in our measurement system, and how to improve the measurement of different types of inequalities, of economic insecurity, of subjective well-being and of trust.